HomeCPR for Marketers? Marketing principles expand well beyond the 4 Ps. CPR for Marketers? Marketing principles expand well beyond the 4 Ps. In the world of business, we do like our checklists and bullet points. It’s part of an impulse to distill ideas and principles down to their essence … and to promote efficiency in whatever we do. It’s no different in the MarComm discipline. 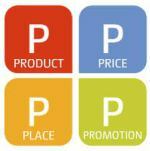 Nearly everyone knows about the “4 Ps” of marketing: Product, Place, Price and Promotion. The principle has been with us for nearly a century. 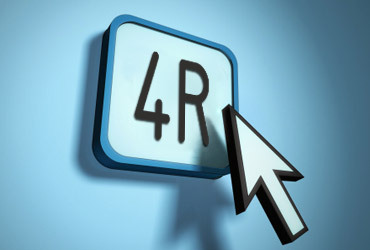 These days, however, the 4Ps of marketing seem inadequate. Stepping in to fill the void are additional attributes and angles that have been put out there by marketing specialists. 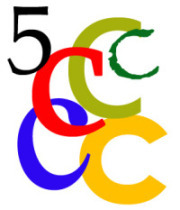 Several of these newer paradigms — one coined by Robert Lauterborn, a professor of advertising at the University of North Carolina, and another from technology marketing specialist Paul Dunay — consist of a group of marketing “Cs” ranging from five to seven in number: Consumer, Cost, Convenience, Content, Connection, Communication and Conversion. Űber-marketing specialist Jennifer Howard has taken a different approach; she’s added to the original “4 Ps” by tacking on five new “Ps” covering the sphere of digital marketing. Those new digital marketing attributes are Pulse, Pace, Precision, Performance and Participation. They go a long way toward filling in the yawning gaps in the original list of attributes. Pulse – active listening and attention to customer, brand and competitor insights. Pace – the speed at which marketing campaigns are carried out. Precision – assuring that marketing messages are delivered correctly. Performance – meeting expectations for results via measurable and accountable MarComm tactics. If you’re thinking now that we can’t go much further than the “Ps” or “Cs” of marketing … not so fast! In fact, we now have yet another set of marketing attributes being brought to the table – this time by database marketing specialist Nick Necsulescu. In order to meet these new kinds of expectations, Necsulescu figures that marketers need to learn as many insights as possible on individual needs – the kind of information that determines what type of an offer should be presented and the message surrounding that offer. Also, to make sure the timing of the offer is well-targeted and that the offer is being presented through the most preferred channel. That’s where robust CRM systems and databases come into play, with true 1-to-1 marketing tactics employed. The challenge is daunting … but in Necsulescu’s view, he doesn’t think companies have much choice in the matter. So there we have it: We’re now dealing with Marketing Cs, Ps and Rs. A veritable alphabet soup of attributes — and all the implementation challenges that come along for the ride. We may need a little CPR for marketing professionals, too! ← Companies behaving (not quite so) badly: Financial services firms continue their slow reputation recovery.